BRAND NEW IN FACTORY BOX - 1 YEAR FULL WARRANTY! This amplifier is stable at 1 ohm and features high-low inputs for ultimate versatility. Skar Audio LP-1000.1Dv2 Monoblock Amplifier. About skar audio. Skar Audio. © 2019 Skar Audio, LLC. Class D Monoblock Subwoofer Amplifier. W@W! FREE BASS KNOB! FREE FUSE HOLDER! 3 YEAR WARRANTY! Loudest 5 Channel on the Market! 120A Fuse Rating! Trending at $132.88eBay determines this price through a machine learned model of the product's sale prices within the last 90 days. AUTHORIZED DEALER + SUPER FAST FREE SHIPPING !!! Blue Illuminated Planet Audio Logo. Located in Los Angeles, CA. Car Audio & Video. Information Class D operation. One Ohm stable mono operation. AC-DC Power Supplies(current). Car Security. LED power and protection indicators. 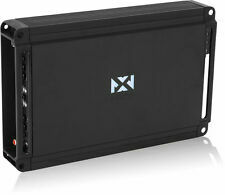 Compact Series 4-Channel Class D Car / Marine Amplifier. 3-way protection circuitry (thermal, overload, and speaker short protection). CEA-2006 compliant amplifier. Conformal-coated circuit board — suitable for power sports and marine applications. Trending at $124.49eBay determines this price through a machine learned model of the product's sale prices within the last 90 days. Soundstream Arachnid Series AR1.8000D. MONOBLOCK 1-OHM STABLE AMPLIFIER. Class-D 1-Ohm Stable Monoblock Amplifier. 3-way protection circuitry (thermal, overload, and speaker short protection). Mono channel operation. Car Audio APMN Series Class-D 1-channel Amplifier. Max power output: 2000 watts. Subsonic Filter: 5-50Hz. 2x60A Fuses! Crazy Power+Sound Quality! CEA Compliant! Skar Audio engineered the RP-1500.1D Class D monoblock subwoofer amplifier to be dominant in both power and reliability compared to anything else on the market in its' class. Skar Audio RP-1500.1D Monoblock 1500-Watt Class D MOSFET Subwoofer Amplifier. Car Audio Mono block 5-channel Class D Amplifier. Max power output: 2400 watts x 1 channel. Model: GM-D9705 GM Digital Series. 4 ohms: 75 watts x 1 channel. 2 ohms: 800 watts x 1 channel. 1 ohm: 1200 watts x 1 channel. 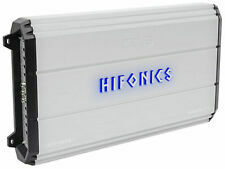 Vibe 6000 Watts 4 Channel Mosfet Amplifier SPECIAL OFFER! The Lanzar Vibe Series MOSFET Amplifiers are engineered to give you uncompromised audio performance. The professional series amplifiers are designed with the latest technology available, incorporating DC to DC switching power supplies that provide headroom for even the most demanding peaks and dynamic ranges found in today s audio files. These powerhouses are the driving force behind any great audio setup and will provide you with the sound quality and performance you ve been missing. You ll turn heads and be amazed with the clarity and richness of the bass production. 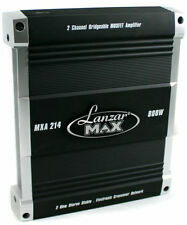 Lanzar Vibe Series Amplifiers are engineered for performance and designed for the most extreme car audio enthusiasts. 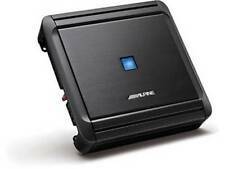 Planet Audio AC4000.1D 4000 Watt Class D Mono Strappable Car Amplifier 1 Ohm Stable With Remote. 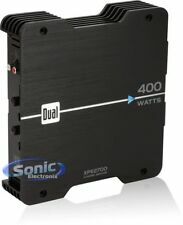 Planet Audio AC4000.1D 4000 Watt Class D Mono Car Amplifier 1 Ohm Stable With Remote. Item Code: AC4000.1D. 1500w CEA Rated! Amazing Quality and Engineering! Skar Audio RP-75.4AB 500 Watt Full-Range Class A/B 4 Channel Car Amplifier. Skar Audio RP-75.4AB Multichannel Amplifier. About skar audio. Skar Audio. © 2019 Skar Audio, LLC. RMS Power @ 2 Ohm: 125 Watts x 4 Channels (14.4v). New for 2017, Arachnid Amplifiers are the next step in performance and value. Arachnid models include 4 Channel & Class D Monoblocks up to 8,000 Watts. SOUNDSTREAM AR1.8000D ARACHNID Series 8000 Watt 1-Ohm Mono Amplifier. The version 2 model is the latest release in the already popular LP amplifier series from Skar Audio, making this amplifier a powerhouse. 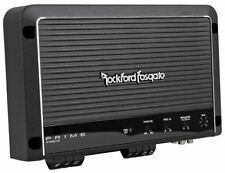 This is a great amplifier for powering a car audio system, with a pair of component or full range speakers on the front channels and powerful coaxial on the rear or even a subwoofer using the rear channels in bridged mode. BRAND NEW! NOT REFURBISHED! FAST SHIP! 3 YEAR WARRANTY! 90 Day Money back Guarantee! 1000w CEA Rated! Compact Bluetooth 4-Channel Amplifier. Built-in Bluetooth. Apt X for improved Bluetooth performance. Bluetooth Ver.3.0 EDR. Stereo 4 channel or Bridged 2 channel operation. Bridged, 4 ohms: 90 watts x 2 chan. Max Output Power @ 12,6 VDC - 2 OHM: 800W RMS (4 x 200W RMS). @ 12,6 VDC - 4 OHMS: 500W RMS (4 x 125W RMS). @ 12,6 VDC - 8 OHMS: 240W RMS (4 x 60W RMS). Input Impedance 10K OHM. Weight 1,40Kg. Sinusoidal Signal Maximum Consumption (1KHz) 12,6VDC: 76A. Ignite Class D Monoblock Amplifier. 6000 Watt Monoblock Class D Amplifier. Peak Power Handling: 4000 Watts. RMS Power Handling @ 1 Ohm: 1020 Watts x 1. RMS Power Handling @ 2 Ohms: 720 Watts x 1. RMS Power Handling @ 4 Ohms: 420 Watts x 1. 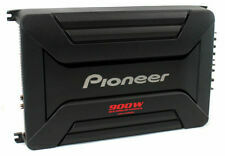 Pioneer GM-A5702 1000 W Max 2-CH Bridgeable Class AB Bass Boost Amplifier. 2-Channel Bridgeable Amplifier with Adjustable Bass Boost. From dramatic distinction to dramatic design, Pioneer's new GM-A5702 amplifier is a thriller in every sense, pushing the limits of flexibility and functionality.
' ' Power Series Amplifiers view larger System Application Diagram view larger The Strong and not so Silent Type Custom Terminal Block for Speaker Connections view larger Power Amplifiers The Pyle Power Series Amplifiers will provide your audio setup with a powerful new sound. Add performance and quality enhancement to your music when you upgrade your audio system with these rugged and high-efficiency amps. Enjoy tomorrow’s advanced sound technology that outperforms all other amps in its class. This lineup of Pyle Power amps raises the bar when it comes to true sound quality. Get that sound you’ve been looking for with crisp music reproduction for any mobile audio environment. Sound Specialization These high-efficiency amplifiers host impressive power output wattage and are where form and function meet. This little amp will fit almost anywhere, including a storage compartment on a boat, motorcycle, or ATV, so you can install great sound in whatever vehicle you wish. Conformal coating protects the internal circuits from water and dirt, so the show will always go on, even through the roughest conditions. The speaker output terminals feature plastic-covered plugs that provide further protection for those connections. The KAC-M3004 will accept a signal from just about any source, whether you're using RCA cables from an aftermarket receiver or speaker wires from a factory radio. When you use the speaker-level inputs, the amplifier will sense the signal and turn itself on, so you won't need to run a remote turn-on lead to your car stereo.
' ' ---2500W x 2 Output @ 2 Ohms ---5000W x 1 Bridged Output @ 4 Ohms ---2 Ohm Stable ---MOSFET Power Supply ---FULL/HPF/LPF X-Over Switch ---Variable Hi-Pass : 40 Hz-250 Hz ---Variable Low-Pass : 40 Hz-250 Hz ---Variable Input Level (Gain) Control : 6V-200mV ---Variable Bass Boost : 0~ 18dB ---Variable Subsonic Filter : 10Hz~100Hz, 24dB/Octave ---Sub Sonic Switch ---Thermal / Overload / Short Circuit Protection ---Soft Power On/Off ---Power & Protection LED Indicator ---Low Level RCA Input : 10K Ohms ---Line Level RCA Output ---Frequency Response : 15 Hz-30K Hz ---Signal to Noise Ratio: >95dB ---THD:0.1 % ---2x70 Amp Maxi Type Fuse ---Slim Size Amplifier Design For Easy Installation ---Dimensions: 10.63''W x 1.71''H x 19''L ---Sold as : Unit the best – –. Amplifier Install Kit. 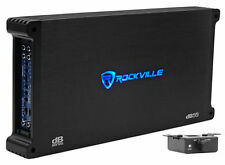 2000 Watts Max 5 Channel Class D Car Stereo Amplifier. PIONEER GM-D9705. Number of Channels: 5 / 4 / 3 / 2. Non Car Audio Products. Marine Audio. Self installation voids the warranty if any. Pioneer GM Digital Series G M -D8704. 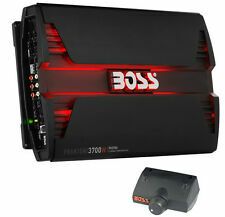 1200 W atts Max, 4-Channel Class D Br idgeable Car Audio Amplifier With Wired Bass Remote Included. Amplifier Class: Class FD. Maximum Power Output: 1200 W. Number of Channel: 4/3/2. 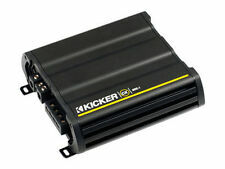 // 500 watts RMS x 1 at 4 ohms (1,000 watts x 1 at 2 ohms)//. // mono subwoofer amplifier//. // Class D amp design//. Just like the head unit is the brains of any car audio system, the amplifier, or amplifiers, should be considered its beating heart. Choosing one that fits your needs is the key to preventing future heart ache. Music has become more of a therapeutic remedy for many people today and it is paramount that you get quality whether you are at home or in your car. An amplifier drives your sound system and is essential whether you are improving your car sound system or installing a new one. A good amp that is carefully weighted to your speaker's input should orchestrate quality sound through high-frequency sound and low bass beats. Clipping in car audio refers to the situation where the amplifier suffers distortion due to insufficient power. When an amplifier is pushed beyond the manufacturer’s powering capability, it begins to send square waves. This normally causes distortions or may even fry the amplifier in some longer use cases. What should you look for when purchasing a car amplifier? The best way to avoid future problems is by shopping for reputable brands. When doing so, look out for the weight and size of the amplifier. An amplifier that dissipates a lot of power will require big heat sinks to cool off. Digital amplifiers are an exception to this. All amplifiers, however, generally generate some heat. A large heat sink does not necessarily mean a huge heat sink. In addition, it is also wise to look at the fuse installed. The fuse and wattage determine the RMS power, which is an important factor to look at when buying an amplifier. What is the difference between peak power and RMS power? RMS power is more reliable in measuring a speakers' output and power requirements. This power is normally quantified in watts. Peak power, on the other hand, denotes the amount of power that a speaker can accommodate on a spurt of music. What does speaker sensitivity say about a speaker? Speaker sensitivity refers to the capacity of the speakers to translate power into sound. A highly rated speaker is more efficient and is louder than one with a low rating, despite both having the same power source. This should not be confused, however, with the output capability of a speaker because a subwoofer with a low rating may still be louder than a highly rated subwoofer. What is wattage in relation to car speakers and audio? Subwoofer and speakers are made to handle up to a certain amount of power. Their capacity to hold this thermal and mechanical energy is what is termed as wattage. The wattage varies from one stereo to another depending on the frequency and enclosure type. It's important to check on the wattage capacity so that you do not overclock your car speakers. The Consumer Electronics Association tests car amplifiers to see if they are satisfactory. A tested amplifier receives a rating if it is compliant with CEA 2006 standards. A CEA-2006 certified amplifier is always better than one that is not. A certified amplifier also denotes that the ratings are accurate. The association tests the RMS and signal to noise ratio, amongst other specifications.